Will Nissan turn us on to solar AND electric vehicles? When launching a solar energy business, the UK might not be the first place you’d think about as a sun-drenched paradise of renewable power. Still, when has Nissan gone with the staid ideas? After all, here’s a company that’s been leading the charge with electric vehicles and now it’s opened up its own solar energy company to complement that. Called Nissan Energy Solar, the package is quite simple. It offers customers solar panels combined with a home battery system that allows you to store energy generated during the day. It also comes with a management system so you can reduce your dependence on the National Grid and lower household electricity bills. 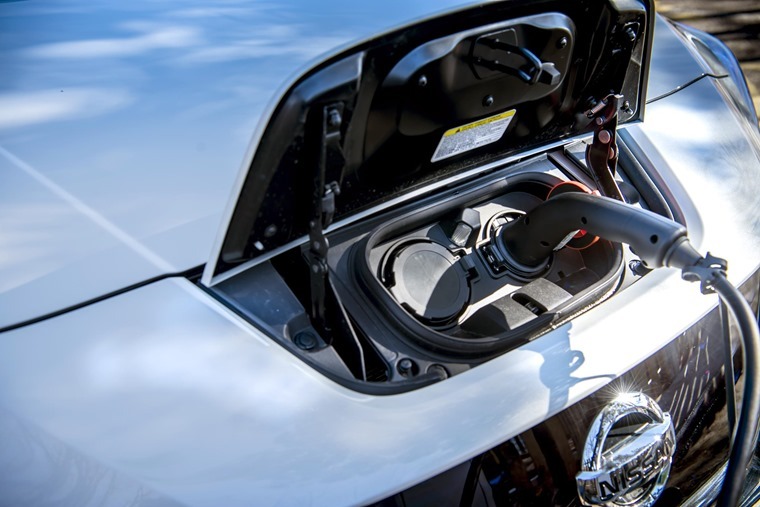 Of course, this also means you can potentially charge up a Nissan Leaf, E-NV200 Combi or van for a lower cost, which will help offset the running costs and higher up-front price of these vehicles. How much does it cost and how much will it save me? 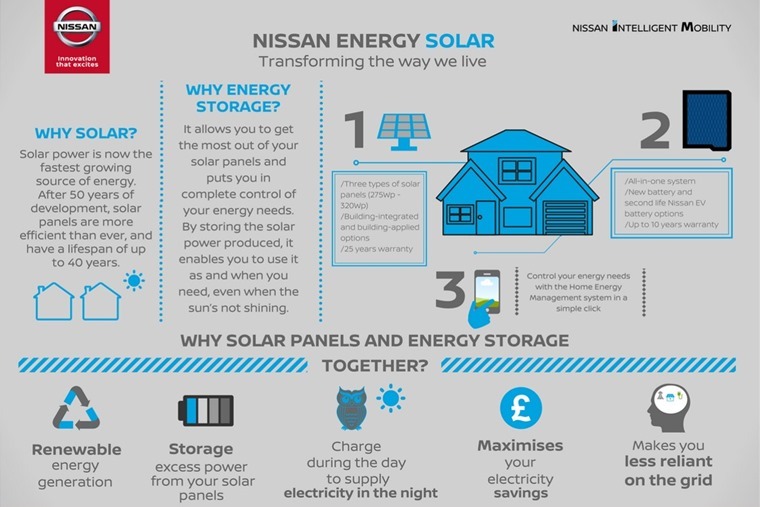 Nissan claims its Energy Solar set-up can cut domestic electricity bills by up to 66%*, which is a sizeable chunk. Given the average electricity bill for homes in the UK comes in at £1,344, that means an £887 saving per annum. A bit of mental arithmetic shows it will take just over four years for that to cancel out the cost of buying a basic £3,881 package from Nissan. That price includes six solar panels, energy management system, VAT and installation. To have the xStorageHome batteries included pushes the price up to £,7635, so it will take around eight years of maximum energy savings to pay for itself. As they come with a 25-year guarantee, you shouldn’t have any trouble seeing a return on your investment in cleaner energy. 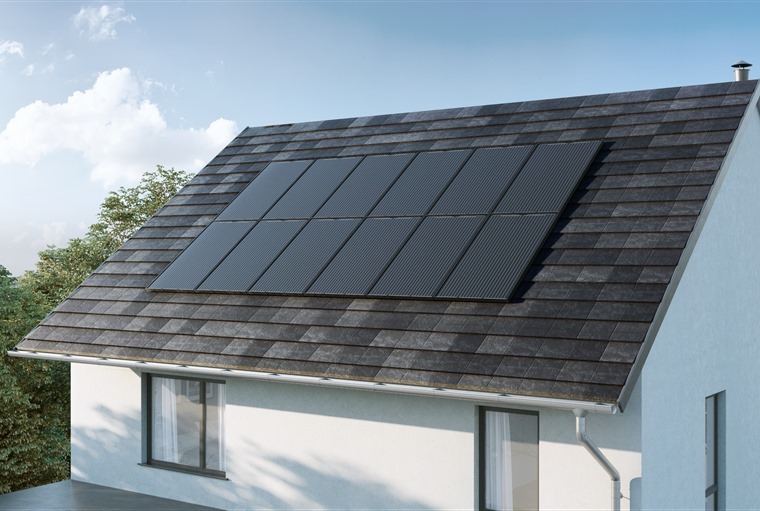 If you were to choose a solar panel set from an existing installer, it would cost around £6,000 for a similar 4kWh set-up but without battery pack Nissan is offering. So, the car firm is coming in at a very keen price. So why is Nissan doing this, other than to support its own EV plans? Well, the solar panel market in the UK is growing as more people want renewable energy and these products work well as they don’t need direct sunlight to function. Also, the UK has surprisingly consistent levels of sunlight that mean we don’t experience the spikes in production that some other countries have. On top of that, having a home storage battery allows the Energy Solar package to feed your home with electricity during times of peak demand, typically in the evening when energy tariffs are at their highest. As the battery is charged during the day when demand is low and then discharges in the evening, it helps decrease the overall carbon footprint of your home. If you need even more of a reason to choose the Nissan option, the battery pack can be made from reclaimed energy cells from electric cars. This recycling is possible as the needs of a home battery are much less than in a car, so the battery pack’s cost and environmental impact is lowered. Nissan isn’t the first car manufacturer to offer this kind of product to home owners, with Tesla selling its energy stacks to customers in the US. However, Nissan is the first in the UK and its price includes installation whereas Tesla makes you pay extra for that. The reason Nissan and Tesla are taking the lead here is because they recognise the need for cheap and easy charging for their vehicles. As more car companies ramp up their EV offerings, it seems likely they will also provide the charging technology too. This is all part of the realisation by many car makers that they are no longer mere manufacturers but mobility suppliers. To underline that, the Energy Solar scheme is part of the wider Nissan Intelligent Mobility technologies which the company is working on to transform the energy we consume and how we use it. Nissan: The first of many? As part of that future, it seems obvious that companies like Nissan will move towards offering solar energy packages as part of buying a new car, whether that’s outright or through a leasing/subscription deal. 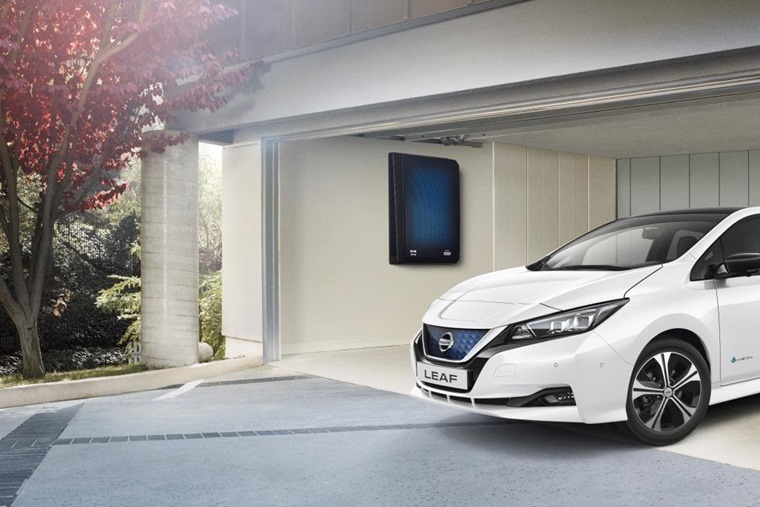 Nissan has not confirmed that model will be part of the Energy Solar deal, but others have mooted the idea as a way to encourage more drivers to make the switch to EVs and move away from fossil fuel vehicles. Of course, all of this assumes the EV market continues to grow at a rapid rate to the point where it’s the dominant energy in vehicle propulsion. Mercedes-Benz has pulled out of a similar scheme to Nissan’s as it didn’t see a sustainable business case, while others have stayed their hand to see how Nissan and Tesla fare. Some might interpret that as caution, while others might see it as some auto makers recognising a gimmick when they see one. We’ve been here before with other technologies and cultural changes to the way we drive and what we drive. The big incentive to choose one form of energy for cars over another will be when governments decide on their taxation plans. Between then and now, though, Nissan is doing what it’s done before by pushing ahead with a bold plan for electrification and that should be applauded. Even if it doesn’t result in us all driving Leafs, it adds to the mix of vehicles on our roads that are doing their bit to reduce emissions and increase renewable energy use. We just need Nissan to work out how to make the sun shine for longer in the UK. *Based on a family located in the South East, at home on average half a day and with an annual electricity demand of 4,500kWh, once a 4kWp Solar PV system and 6kWh storage system is installed.